My wife and I went to Florida this past week. We found that travel and lodging during Spring Break involves cashing in a couple of CDs since prices qualify for gouging; but that’s a whole other story. The purpose of our trip was to scatter my father’s ashes, a gesture of respect which gave us closure, much as having a formal funeral puts a period at the end of a sentence. The funeral home supplied a TSA approved urn made of nicely polished wood containing dad’s cremated ashes along with an official letter issued by the State of Texas for permission to transport human remains. We showed up earlier than normal to avoid complications should the urn not pass TSA check point guidelines as advised. We were told that his urn would be considered ‘carry on luggage’; dwell on that for a moment. We’d placed the urn in a blue plastic bag from Sketchers shoe store so as not to alarm folks at the airport. Thinking of dad as ‘carry on luggage’ made me smile, a morbid sense of humor that a retired night shift cop would find amusing. At least we didn’t have to purchase a ticket and put a seat belt around the urn. 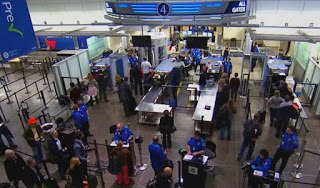 The folks at the TSA check point ran the urn through their X-ray machine twice and then took several swabs with chemically treated patches to make sure it didn’t contain bomb making substances. Dad passed (actually he ‘passed’ back in October) and we placed him in the overhead luggage compartment without incident. Dad’s Pastor volunteered the use of his boat as he ferried my sister and her husband along with my wife and me to the same location where mom’s ashes had been scattered last August. We had an informal burial service and for all practical purposes we’d accomplished our mission. TSA flagged my wife’s carry on luggage; something raised suspicion as it went through the X-ray machine. We were herded over to a steel table where they went though every inch of it. A coin purse had too many quarters which prevented them from figuring out what it was. They went through the toiletries and told us we had a tube of liquid material that exceeded the Three and One Half Ounce Rule, a brand new unopened tube of doTerra Deep Blue Rub, essential oils used to ease pain and assist the body in a number of ways. There are strict rules from the FDA which forbid essential oil retailers from saying essential oils ‘cure’ anything or they come after us for making an unsubstantiated product claim. Let’s just say some folks find essential oils help and leave it at that. I use essential oils rather than drugs ‘Big Pharma’ and pill pushing doctors want me to use. The TSA threw my perfectly good Thirty Dollar tube of Deep Blue Rub in the trash… It was half an ounce over their arbitrarily determined limit for liquids making it suspect for bomb making material used by terrorists to blow up an airplane. Neither my wife nor I fit the profile of Islamic Terrorists; but common sense got thrown in the trash can along with profiling individuals. 99 % of terrorism is carried out by followers of Islam; but that other 1%… just might be us. It’s part of being Politically Correct so as not to antagonize Muslims who’ve already declared war on Western Civilization, promising to either enslave or murder us at their discretion. I suggested that one solution would be for me to squeeze out half of the tube in the trash thereby saving me fifteen dollars worth of Deep Blue Rub; it would, after all be well under the three and one half ounce arbitrarily arrived at limit. “We’re not permitted to do that. You’ll have to throw it all in the trash”. My wife reminded me that boarding the airplane was a better idea than going to prison so I permitted the veins in my neck to remain swollen until we’d passed by the TSA folks. Has anyone considered the absurdity of what I’ve pointed out? The 4th Amendment was written specifically to prevent government officials from conducting searches without probable cause or search warrants. I felt violated because my right to be secure from an unreasonable search and seizure was ignored…; but it was for my own good and the security of our nation, Spit! The courts have interpreted the language of our Founders to mean anything they damn well want it to mean as individual rights and the constitution have been thrown into the trash can of obscurity where it lies crumpled and bruised. 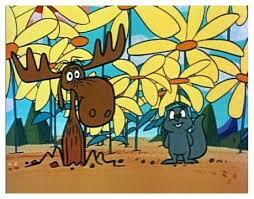 It should be noted that the first airing of The Rocky and Bullwinkle Show, at the time called, Rocky and Friends, happened back in 1959. I was only nine at the time while enjoying the characters and stories, looking forward with eagerness for each new show. The light hearted style had humor which could be enjoyed by children and adults alike. 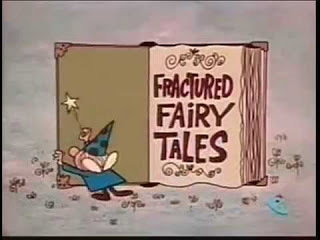 One of my favorite parts was the Fractured Fairy Tale portion in which short morality plays were offered; a little twisted perhaps, but entertaining none the less. These skits were narrated by Edward Everett Horton, a master of elocution with just the right amount of sarcasm in his presentation to make me appreciate the English language. Perhaps my upbringing under such influences has something to do with last week’s Primary lesson to the seven year old children. We were talking about the powers which created the Earth, that being the priesthood power of Jesus Christ, who is also referred to as the Creator at times. One of the children began telling from memory, the miracle of the fishes and loaves when the Lord fed the multitude as found in Matthew 14:17-20. My team teaching partner for the day, Brother Reid, shook his head and wondered what other curious information had been shared with these young people. It helps if you know how to smile and wink at the appropriate moment when telling children stories; they know when you’re pulling their legs, yes, they really do know. Christmas is just around the corner and having little children around reminded me of how special this time of year is. A child can express awe, excitement and joy so much easier than grown ups. William had taken James, our ‘almost two year old’ grandson, out for the afternoon this past week to enjoy the cool weather and have some one on one time. While they were out we decided it was time to bring the Christmas tree in from the garage where it’s been stored all year. It’s an artificial tree with the lights already in place making things so much easier, except there’s a row in the middle that no longer works. I’ll get around to replacing it some day; at least that’s what I said last year, or was it the year before? James came in from the cold all bundled up with a hood covering his Astros’ ball cap. 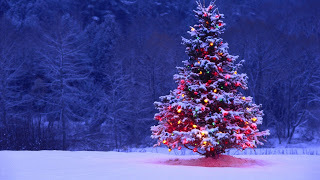 As he turned from the entry way he noticed the tree situated in the middle of the living room directly in front of the window, most of the tiny lights sparkling brightly. He walked over to it, eyes wide open and took it all in, floor to ceiling. The magic of Christmas landed on him as he gazed and then gazed some more. I had my cell phone/camera in my pocket but it didn’t dawn on me to capture the moment; guess that one will have to be stored in my mind along with so many other magic moments. When I was a young boy one of our family Christmas traditions had to do with writing a letter to Santa around the first week of December. We’d use our best penmanship skills while making sure to list each item on our bucket list that Santa needed to know about prior to his visit on Christmas Eve. These letters were put on a plate on the dining room table along with some cookies and a glass of milk before we went off to bed. Our parents explained that we’d know Santa had visited during the night to read the letters if all the cookies were gone along with the milk; more importantly, we’d know Santa read our letters because his magic mittens would cause the paper to catch fire, leaving only burnt fragments singed on top of the plate. The next morning we’d marvel that Santa had come, just as our parents said he would. The cookies and milk were gone and sure enough, the letters had turned into a pile of ashes leaving a scorch mark on mom’s fine china. “Oh boy, I’m gonna’ get that bicycle, cowboy boots, the erector set, the Lincoln Logs, the rocket that you have to fill with water and pump it till it shoots off, the submarine that really sinks in the bathtub and comes back to the surface; all the neat stuff that was on that letter…and Santa knows about it now. There were other family traditions; one in particular wasn’t so great. Mom and dad loved to make oyster stew on Christmas Eve. How they came up with that is a mystery, or is that a misery? They actually looked forward to putting a bowl of oyster stew on the table, lighting the candles and having us prepare for the coming of Santa. I couldn’t even look at a bowl of oyster stew without my stomach turning, much less place a spoonful in my mouth. Mom and dad decided that children weren’t sophisticated enough so we were served Tomato soup instead. I wasn’t thrilled with Tomato soup either; but at least I could look at it without barfing. Last on today’s list of family Christmas traditions has to do with the hanging of stockings for Santa to fill with candy, oranges, apples, nuts and small toys. These were placed on the end of our beds just prior to light out along with a warning, “Go to sleep or Santa won’t come”. That worked pretty well until we reached our teen years. By then we’d figured out that Santa needed to put toys together in the living room and didn’t want little children disturbing the process. One night while contemplating life there in the darkness of my room I heard dad coming down the hall. As he entered the room, carefully hanging the stocking on my bed and turning to leave, I surprised him, quietly greeting him, “Good night, Santa”. I’ll never forget the smile and wink my father returned as he realized I’d left a part of childhood behind. May your family find simple traditions that make Christmas memories, memories that will last a lifetime and beyond is my hope and prayer. Merry Christmas! While finishing off the day, going over entries on Facebook, there was one particular link which immediately caught my attention. Someone had established a page imploring folks to ‘Pledge your Loyalty to Donald Trump’ as we enter this new era for America. There were T-shirts with this logo pledging loyalty to Donald Trump splashed across the front, symbols of our undying devotion to the man who has promised to “Make America Great Again”. The way they see it Donald Trump is our hope, our one and only hope to save the country. My thoughts instead turned to a much darker period of time; pre-WWII Germany when Adolph Hitler promised to restore Germany from the brink of bankruptcy into a nation all could be proud of, make the Fatherland great again. The Hitler Youth saw him as a father figure, god-like and worthy of the title Fuhrer. The rest of the world didn’t share Germany’s blind obedience to the Fuhrer; instead they saw him as a threat, something to be dealt with, even if it meant going to war. Far too many died to stop a nation willing to do the bidding of a narcissistic ego maniac who grabbed the reigns of government and captured the hearts with promises of national pride and greatness. No, this kind of loyalty must be avoided. Our loyalties are to the Constitutional Republic which protects our individual God given rights from power seeking men who achieve high office. Our Flag is a symbol, a means of displaying all that is good about our country. It isn’t a banner declaring any particular party or individual as supreme leader; but some folks can’t understand or get their arms around the idea of a nation that relies on self governance, instead looking for a great leader to guide them and rule over them. Sorry; but my allegiance is limited to the concept of individual liberty and is given to no man. Self-Educated American, Senior Edi­tor, T.F. Stern is a retired City of Hous­ton police offi­cer, self-employed lock­smith, and gifted polit­i­cal and social com­men­ta­tor. His pop­u­lar and insight­ful blog, T.F. Sterns Rant­i­ngs, has been up and at it since January of 2005. I went to the Spring Creek Village assisted living center where my dad spent his last days to make sure our account was settled up, no loose ends. We’d been double charged for a ‘one time only’ fee on the second month’s billing which we were told would be subtracted on the following month’s rent; but dad never made it to the next month. 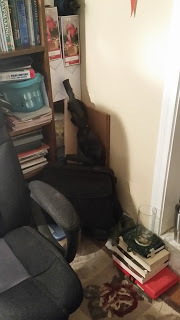 My father died October 25, 2016 and we made it a point to remove all items we’d provided for his comfort the very same day, leaving the room as it was when he first arrived. Today I looked over at their ‘occupancy availability board’; they had a large white board in the manager’s office showing new move ins and those who’d moved out. There was dad’s name showing he died October 25th along with his move out date of….Nov 7th…? I pointed out the discrepancy to the manager and reminded her that we’d made sure to remove dad’s personal items on the same day he died. Her response was, “That’s in the contract”. There is a clause in the residency contract which states the assisted living center can charge up to 10 days rent after the death of a renter. Apparently we could have left dad’s body in the room for another week; not that the health department would have approved. I reminded the manager that we’d been over charged by $1500.00, expecting a refund for that amount and perhaps a refund for the last five days of October since dad didn’t occupy the room that last week of the month. Again the manager explained, “That’s in the contract”, as she handed me a due bill for $186.50, the difference between the $1500.00 we’d been over charged and the ten days which the assisted living center considered an opportunity to extract additional money from the deceased’s bank account. Spring Creek Village provided exceptional care while my father was in their facility and I would recommend them to anyone looking for an assisted living facility. That said, they have an unusual way of interpreting their lease contracts. I pointed out that this was morally wrong and as a business practice was no different than gouging the dead. I know, “That’s in the contract”. But the contract indicated that the assisted living center ‘can’ charge up to 10 days following the ‘move out’ of a resident; it doesn’t say that it ‘must’ charge the full ten days. 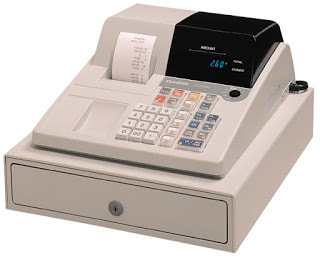 I suppose they were only honoring the memory of my dearly departed father as they hit the Enter Key on the cash register, or as Bob Hope used to say, Thanks for the memories. Recently the State of Texas altered the requirements for the renewal process licensed locksmiths must complete in order to continue applying their skills in what used to be a free market system. 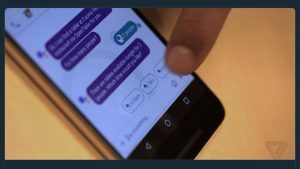 The Department of Public Safety/Private Security Bureau, (DPS/PSB) working under their interpretation of HB 4030 passed during the 84th session, has determined that locksmiths must haveyet another set of official fingerprints submitted along with a complete background check in order to maintain a valid locksmith license. While visiting my father, holding his aging hand as we watched some insignificant golf show on the television, I noticed his fingers were a bit discolored as his circulatory system no longer functioned at peak efficiency. It’s just a guess; but you could bet the farm the fingerprints on his hands would be the same ones he’s had since birth, the same ones he had when he signed up with the Navy in WWII and the same ones he’ll have when he meets St. Peter on the other side of the veil. 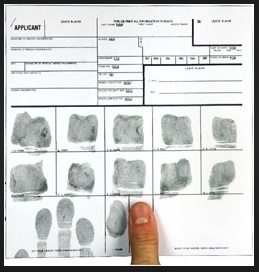 These identifying marks don’t change all that much over time so it’s beyond my thought process as to why the State of Texas considers it necessary, requiring locksmiths to furnish a fresh set of these prints simply to renew a license… a license which has that very same set of fingerprints already tied to it and filed away collecting dust. Then there’s the requirement of another complete and thorough background check in order to maintain an already issued locksmith license; that bothers me too. Actually, the veins in my neck are pulsing and may explode while thinking about this. The State of Texas conducts a complete and thorough background check of each individual prior to issuing a locksmith license. If the State wants to find out whether or not a licensed locksmith has committed a noteworthy criminal act since the last time he/she went through the licensing process then all the State’s investigators would have to do would be to bring up a standard criminal check on their computer, not much different than the way police officers are able to find out the same information while on patrol; it takes only a minute, sometimes less. If someone can explain why the State of Texas considers locksmiths…locksmiths who’ve already been fingerprinted, had their background checked six ways to Sunday and then issued a license…if someone can explain why the State of Texas considers locksmiths a threat or danger to the public… Could you hand me my blood pressure medicine; those veins are swelling some more. Yesterday I received an email from the DPS/PSB letting me know my latest renewal efforts were finally accepted and that my pocket sized wallet card would be sent in a timely manner. Do you see why the updated renewal process bothers me? Last night during the Astros’ game with the Minnesota Twins center fielder, Carlos Gomez, didn’t get the job done. Perhaps that’s an understatement as he let a ball get by him and turned a single into an RBI two base error and permitted the batter to reach third. Bad as that was, Gomez managed to follow that botched play with yet another screw up as he lost track of a fly ball that should have been caught; but instead landed several feet away. Remember the man on third, the one who should have been at first except for a two base error, that man scored and the batter ended up with a ‘gimme’ triple since the ball was ‘lost in the lights’. I won’t print what the pitcher, Collin McHugh said, use your imagination; but it was captured on film for all who can read lips. Let’s just say it follows the thought pattern of, “You have got to be kidding!”, only with a more common street verbiage and tone. I mention this as a lead in for what’s going on in our country. ‘We The People’ are standing on the mound as the ball(s) get dropped over and over. We have an individual running for President of the United States of America who has managed to avoid being charged and prosecuted for crimes which would have the average individual before a firing squad, the gallows or serving life in prison without chance of parole. 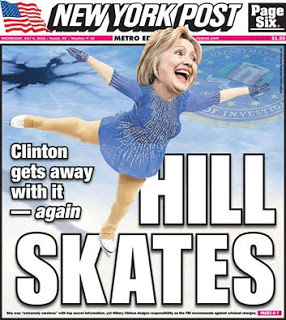 The FBI made their case against Hillary Clinton only to back off at the last moment and have FBI DirectorJames Comey tell ‘We The People’ that the charges shouldn’t be filed because they couldn’t prove intent. 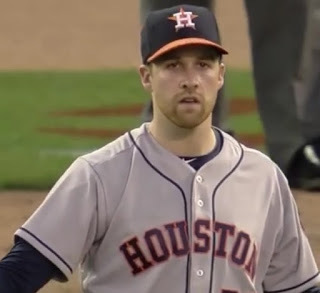 Did I hear, “You have got to be kidding me”, or was it the cruder version as stated by the Astros’ pitcher in last night’s game? It should be noted, none of the felonies which Hillary violated in regard to lost email or improper us of email required ‘intent’; simply that the crime occurred, either by willful intent or neglect did not matter. We could say the FBI and Justice Department lost it in the lights, much as Gomez let the ball avoid his glove. ‘We The People’ are standing on the mound, figuratively speaking, watching this unfold before our eyes. I can assure you my exclamation matched up with the Astros’ pitcher… and those who can read lips know what I said. I’m sixty five years old and recognize the blessing in being able to call my mother on the phone; makes her claim of being 37 going on 38 much harder to believe, just sayin’. The other day she expressed her gratitude that I’d served as a police officer; but at the same time was relieved I’d retired as each passing day brought headlines of police officers being ambushed and murdered. If you’ve been keeping up with the news it wouldn’t be much of a stretch to say there’s a War on Cops. Remember when children were taught to find a policeman if they got lost or were in trouble? “Policemen are your friends” and we all nodded as the lessons were presented in 1st Grade. I’ll never forget the first time I met a policeman face to face. It was the middle of winter and my brother and I had been hiding behind a short row of hedges, giving us cover to throw snowballs at passing cars. We’d pop up, let ‘em fly and watch as drivers skidded on the slick pavement when the snowballs slammed into them. It was great fun. Getting back to my first face to face meeting with a policeman… We were hunched down listening to the tires crunching snow and waiting for the vehicle to arrive at precisely the right location in relationship to our planned attack. We popped up, let ‘em fly and at that same moment realized that our intended target was a police car. The blood in our legs froze solid as we stood silently, unable to move let alone run. The policeman stopped, opened the door and quietly walked over to us with a wry smile on his face; we, on the other hand were having trouble breathing. He placed us in the police car and drove us home, just a couple of blocks. Most of this part was a blur; but I remember my mother opening the door and talking briefly with the policeman prior to letting my brother and me enter the house. She did thank him for being understanding and assured him it wouldn’t happen again. Hard to believe that one day I’d join the police department and serve for twenty years. I remember one night driving up on a bunch of kids who were ‘toilet papering’ a house during football season. A couple of them ran off into the darkness as soon as they recognized the police car; but others froze in place, much as I had so many years ago. Interestingly, the house these kids were ‘toilet papering’ belonged to one of their friends; it was something of an honor to have your trees, bushes and house covered with long streams of toilet paper following a big win. I explained that it might be a good idea to clean up the mess they’d made, never getting out of the car. They hadn’t really considered their actions as criminal mischief, at least not until a policeman pointed it out; never mind the healthy grin on my face. 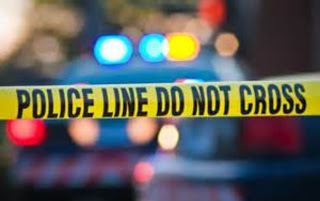 Reading about policemen being ambushed and murdered turns my stomach; officers shot while sitting in their patrol cars or walking up to quell a disturbance as assassins hid behind bushes. The officers in Dallas were protecting protesters, protesters protesting police when snipers hidden in a multilevel parking garage opened fire. These are cold blooded murders, planned in advance using tactical strategy as if it were a military operation; that makes it a War on Cops by an enemy with a long term agenda. 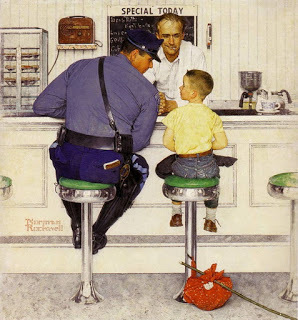 Perhaps one day our children will once again be taught, “If you ever find yourself lost or in trouble, go find a policeman”. Our country is in trouble as each attack on a police officer is an attack on all of America. Pray for our country; more specifically that all police officers make it home after their shift ends.